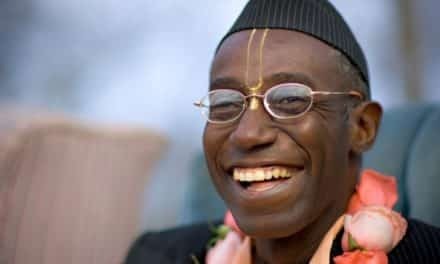 Enver – Ireland: Those mudhas and rascals at oneiskcon.com, the so-called ISKCON’s s-“think-tank” supposedly comprised of many of the over-intelligent ISKCON members are hell bent on destroying and dividing the ISKCON even further than it has already been destroyed. New ideas are poping up in their fertile imaginations about creating the two ISKCON ‘churches’,’ orthodox’ one and the ‘reformed one’. Orthodox ISKCON church goers and the reformed parishioners probably find it too difficult to coexist and to stomach the stench each other’s mental vomit and various other forms of excrement so they wish to turn ‘ONE ISKCON’ into ‘TWO ISKCONS’-church governed by the same omni-impotent GBC.So their apporach is the following:if your partner stinks and you stink too,the divorce arangement is meant to give this whole stinky affair an air of respectability. The GBC can’t even govern this one ISKCON but they think that they are going to do a better job running the two ISKCON ‘churches’. Just as Giri-Nayaka prabhu concluded, they are a bunch of incompetent Gathered Bozo Clowns/GBC willing to gamble away the lives of those who choose to foolishly listen to their asinine ideas. In the Srimad Bhagavad-gita the Lord asserts that He appears in every millennium just to reestablish the way of religion. The way of religion is made by the Supreme Lord. No one can manufacture a new path of religion, as is the fashion for certain ambitious persons. Sukadeva Gosvami continued speaking to Maharaja Parik?it: My dear King, the King of Ko?ka, Ve?ka and Ku?aka whose name was Arhat, heard of the activities of ? ?abhadeva and, imitating ? ?abhadeva’s principles, introduced a new system of religion. Taking advantage of Kali-yuga, the age of sinful activity, King Arhat, being bewildered, gave up the Vedic principles, which are free from risk, and concocted a new system of religion opposed to the Vedas. That was the beginning of the Jain dharma. Many other so-called religions followed this atheistic system. The Kalki avatara is the fierce incarnation who vanquishes the class of the atheists born in this age of Kali. Now, in the beginning of Kali-yuga, many irreligious principles are in effect, and as Kali-yuga advances, many pseudo religious principles will certainly be introduced, and people will forget the real religious principles enunciated by Lord K?? ?a before the beginning of Kali-yuga, namely principles of surrender unto the lotus feet of the Lord. Unfortunately, because of Kali-yuga, foolish people do not surrender to the lotus feet of K???a. Even most people who claim to belong to the Vedic system of religion are actually opposed to the Vedic principles. Every day they manufacture a new type of dharma on the plea that whatever one manufactures is also a path of liberation. Atheistic men generally say, yata mata tata patha. According to this view, there are hundreds and thousands of different opinions in human society, and each opinion is a valid religious principle. This philosophy of rascals has killed the religious principles mentioned in the Vedas, and such philosophies will become increasingly influential as Kali-yuga progresses. “Religious principles that obstruct one from following his own religion are called vidharma. Religious principles introduced by others are called para-dharma. A new type of religion created by one who is falsely proud and who opposes the principles of the Vedas is called upadharma. And interpretation by one’s jugglery of words is called chala-dharma. Presently it has become fashionable to manufacture a new system of religion, but Kapiladeva, like K?? ?a, does not manufacture anything new. This system is not new, but very old (pura). K?? ?a also says the same in Bhagavad-gita (4.2), eva? parampara-praptam ima? rajar?ayo vidu? : “This supreme science was thus received through the chain of disciplic succession, and the saintly kings understood it in that way.” Thus K?? ?a and Kapiladeva are not teaching anything new. They are simply repeating the same message because, in the course of time, the knowledge has been lost. Therefore Krsna says, “Don’t manufacture new type of religion.” What you’ll do that? It is simply waste of time. You cannot manufacture anything. But they are after modernized religion. What is this nonsense modernized religions? This verse was already there in the Brhad-naradiya Purana, the indication of our activities in the age of Kali. Caitanya Mahaprabhu, He pointed out. Although He is Krsna Himself—He could manufacture so many things—but He did not do so. That is acarya. Acarya will not manufacture any new type of religion, a new type of phrase of Hare Krsna mantra. That is not potent. 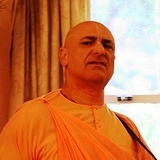 Perhaps Krsna Kirti himself should be excommunicated from ISKCON for his foolish and daring non-compliance to the Vedic standards and for suggesting that those who wish to be part of his imaginary ‘reformed’ ISKCON could avoid adhering to the four regulative principles and even drink wine and beer on occasion.Even Lord Krsna choose to follow the Vedic standards but this overambitious rascal mundainer thinks that he knows better than Krsna Himself. “Looser interpretation of other principles. Casino gambling and drinking of hard liquor forbidden (as well as hard drugs) (beer and wine acceptable in private moderation). Distain for those who smoke or use tobacco and/or marijuana (public smoking unacceptable). Other lesser forms considered acceptable (practically harmless). Perhaps ‘His Grace’ Krsna Kirti dasa should be excommunicated for leading others astray and suggesting them to engage in extremely sinful,risky and degrading lifestyles. 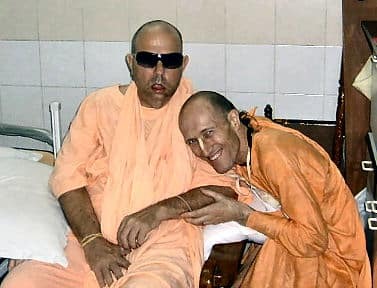 According to Srila Prabhupada, association with persons such as that mudha Krsna Kirti das and his ‘oneISKCON’ overinteligent stink-tank mudha friends is worse then taking poison. 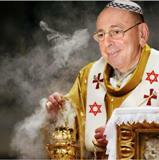 Please accept my blessings. I am in due receipt of your letter dated 11-26-74 and have noted the contents. You must follow the principles that I have given at all times, under all circumstances. Without these four principles, there is no spiritual life. Even it may be very difficult you must follow. You should reject anything or anyone who advises you to break these principles. Association with such persons is worse than poison. Entire article can be seen here. While we are already having a brainstorming session I would suggest that every time we decide to inaugurate a new ‘church’ of ISKCON we could have a ring kissing ceremony where we send our Bishops like say Bhakti Vikasa swami and have them meekly kiss the ring of our own Zonal Godfather Obese Pope Jayapataka swami. Wouldn’t that be a sight to behold?